The most romantic holiday of the year is here…and so are we! Underwood’s Fine Jewelers can help you find that special piece of jewelry for your special someone. It can sometimes be a challenge selecting that perfect gift for your significant other on this special day, but at Underwood’s we’re here to help! 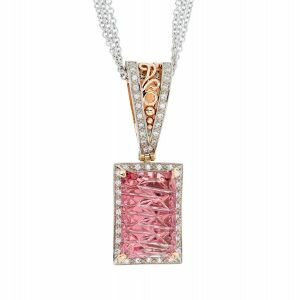 Valentine’s Day is the perfect excuse to buy your loved one an amazing pink tourmaline pendant. If you’re looking to propose this Valentine’s Day, we have a ring perfect for every taste. We enjoy helping you find that perfect something to give. We have a diverse engagement ring section with original hand crafted designs made on site by our Master Bench Jewelers. Check out our gift guide or come on by.